I try not to have too many sweet things on a regular basis so when I do splurge, I want something amazing and delicious to soothe my sweet tooth. Thanks to the folks at Chelsea Creperie, I recently started my weekend with a delightful French-style crepe on a Friday afternoon and it was totally worth the calories! 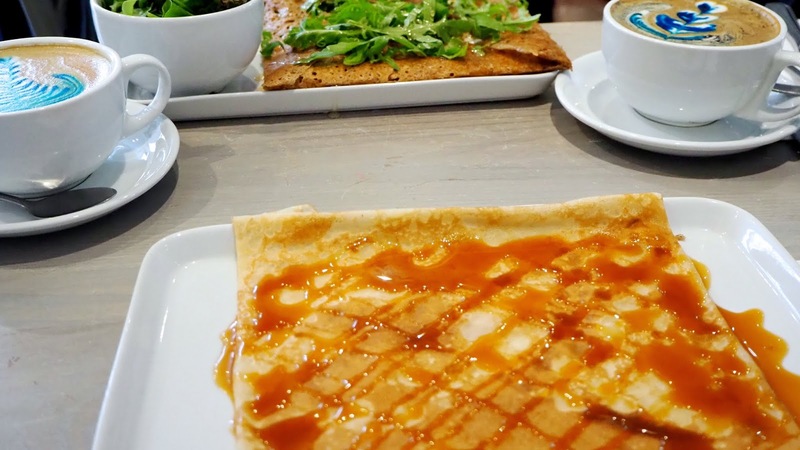 Located on Fulham Road just across the street from the Chelsea and Westminster Hospital, Chelsea Creperie is the perfect way to enjoy a taste of France without ever leaving West London. A quaint little spot with chic white walls and beautiful paintings hanging throughout, it's the perfect place to enjoy something delicious whether on your own, with friends or treating the kiddos to something sweet. 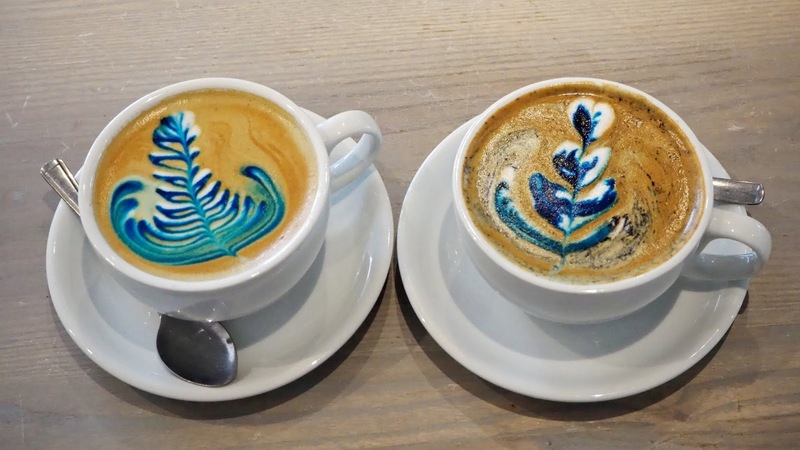 Upon my arrival at Chelsea Creperie, I was asked if I might like to try a rainbow coffee. I'd never had one before, but I'm not usually one to turn down a rainbow anything, so I quickly ordered my usual skinny latte and waited with anticipation. 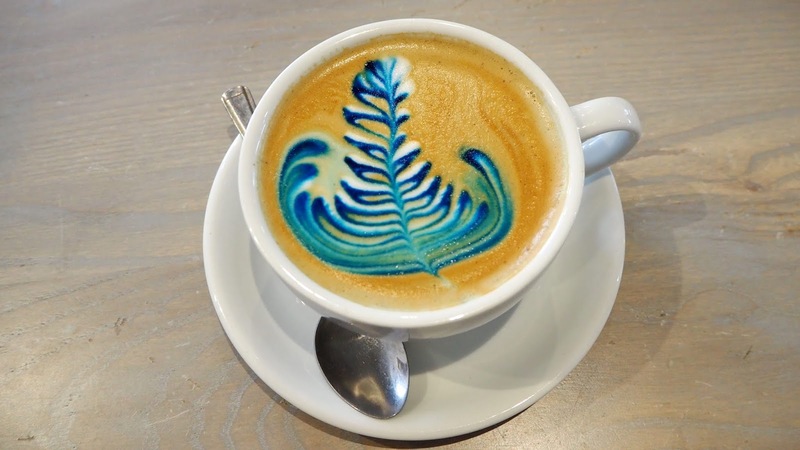 Have you ever seen a more beautiful coffee? It tasted delicious and the colour was an instant mood lifter on a rainy day! You can't taste the colour at all - it's simply there for decoration, but it's super instagram-worthy! 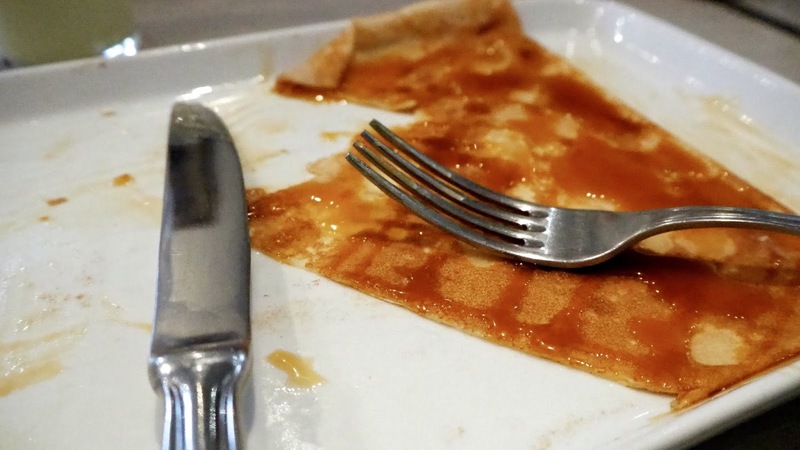 When it was time to decide which crepe to try, I did have a choice between sweet and savoury, but having had no sugar all week and it being the Friday afternoon before my holidays, I decided that sweet was the only way to go. If I'm honest, I also couldn't take my mind off the salted caramel, which I later learned was made in-house... It's my favourite, so I couldn't resist. In short, it did not disappoint. It was probably the most simple crepe I've ever had and truth be told, it was the best! Perfectly cooked, the perfect size and just the right amount of salty caramel drizzle - I'll definitely be going back for more! 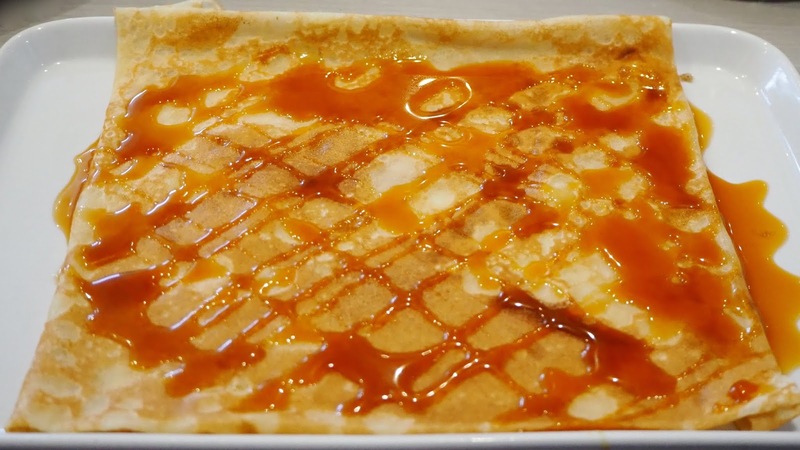 In addition to the multitude of tempting sweet crepes on offer, Chelsea Creperie also offers a wide selection of all day breakfast crepes, savoury crepes, waffles and salads. That's not all - the drinks offering is pretty impressive too featuring coffee, milkshakes, smoothies, wine, beer and more. I tried the vanilla milkshake and it was so good! If none of that strikes your fancy, you might be tempted by the gelato... Yes, you heard me right - you can have crepes and gelato in the same place. Sounds like Heaven, right? The Chelsea Creperie's events options are pretty impressive. 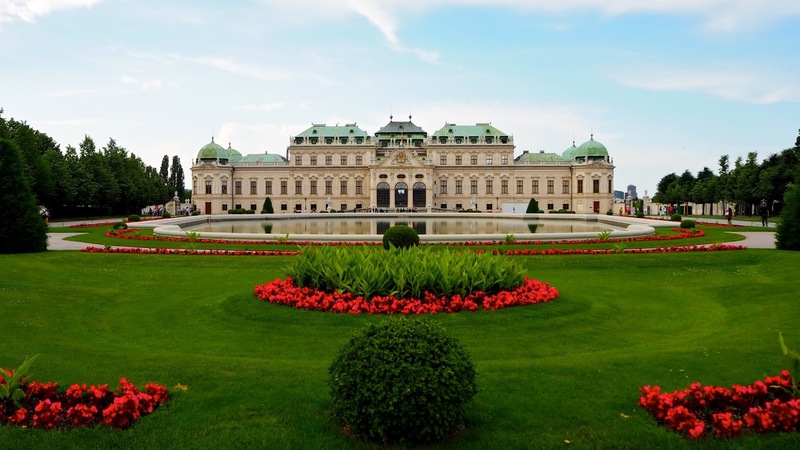 From celebrating regular events throughout the year to regularly scheduled cooking classes for kids, there's always something fun happening. 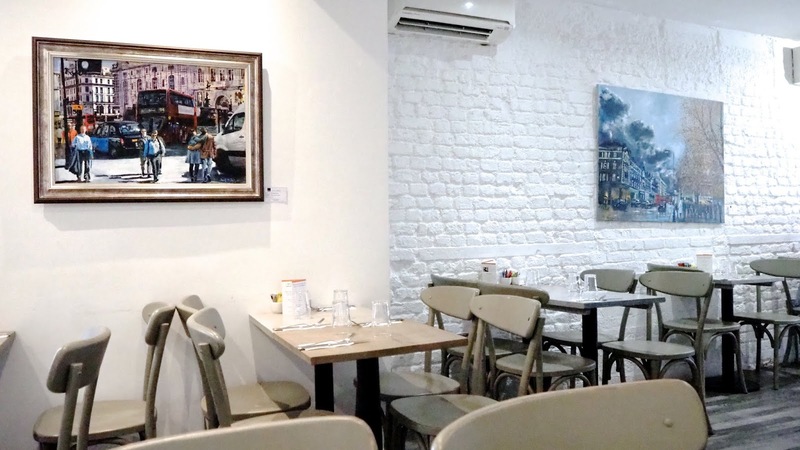 Chelsea Creperie is also available for parties and for art lovers, the paintings you see on the wall are by talented local artists and they can be yours - all of them are for sale. The Chelsea Creperie is open seven days a week pretty much all day long until 10pm or 11pm depending on what day it is. It's a lovely spot whether you just want a coffee or gelato to take away, an indulgent sweet crepe or a sit-down dinner with a glass of wine. 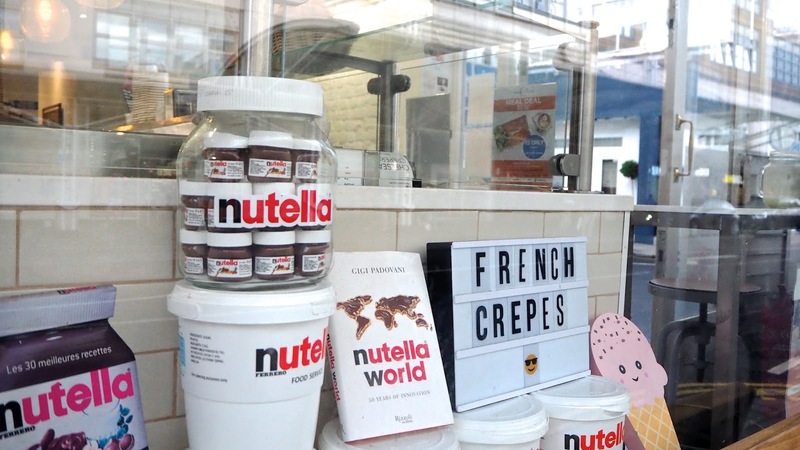 Located on Fulham Road, the Chelsea Creperie is easily accessed by the 14 bus and it's situated about halfway between the South Kensington and Fulham Broadway tube stations. Delivery is available through Deliveroo and UberEats. For more information visit chelseacreperie.co.uk. * Though the crepe and coffee kindly provided by Chelsea Creperie, however all views are entirely my own and in no way influenced by the Chelsea Creperie or any affiliated parties.